Last night we hosted a Potluck/Presentation/Paddling event at the recreation center. It was a great evening, which gave us the opportunity to further introduce ourselves to the community, share our goals and expectations for the project and to give everyone the opportunity to paddle in the big birch bark canoe. About 30 people showed up which was just awesome and the food was incredible. Daniel's dutch oven chicken mole and someone's Moose Shepard's Pie were definilty the dishes of choice for the evening. After eating and watching our 30min video about building the big birch bark canoe, Joe Kat gave a great introduction for us and we proceeded to introduce ourselves and tell the attendees our story and our relationship to canoes. After many questions, applause, suggestions and laughs we all headed outside for an incredible sunset paddle on Lake Temagami. 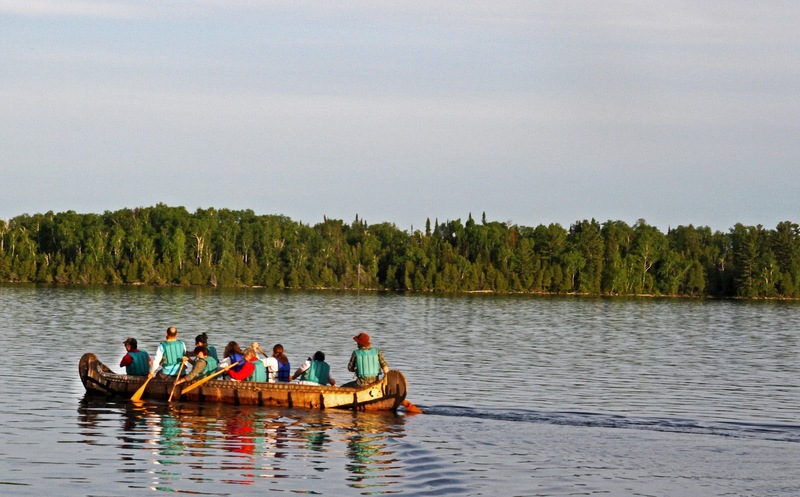 About 15 young people ranging from ages 4-17 were extremely excited/hyper to get in the canoe. 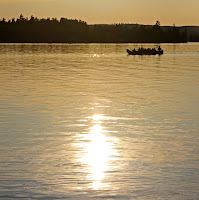 After doing two short trips with the youth, the adults were eager to hop in the canoe and go for a short sunset cruise. 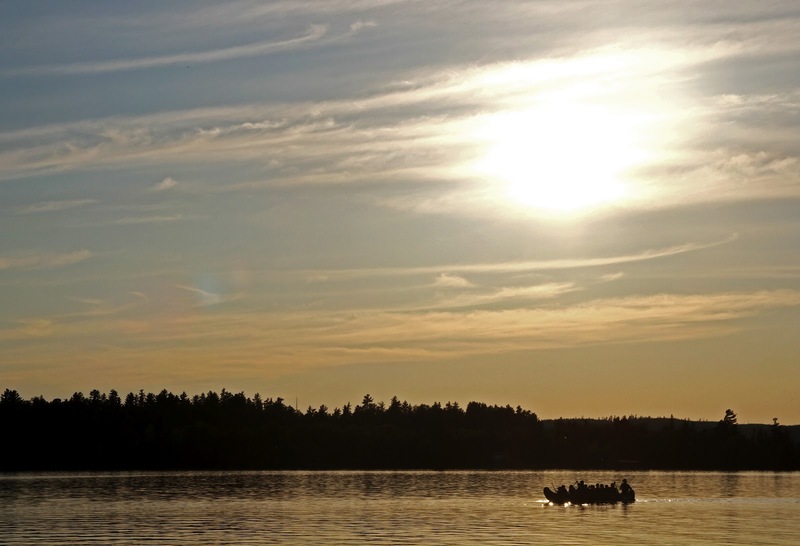 Of course the kids wanted to go paddling again, so Dan guided, sang and paddled the youth into the sunset. 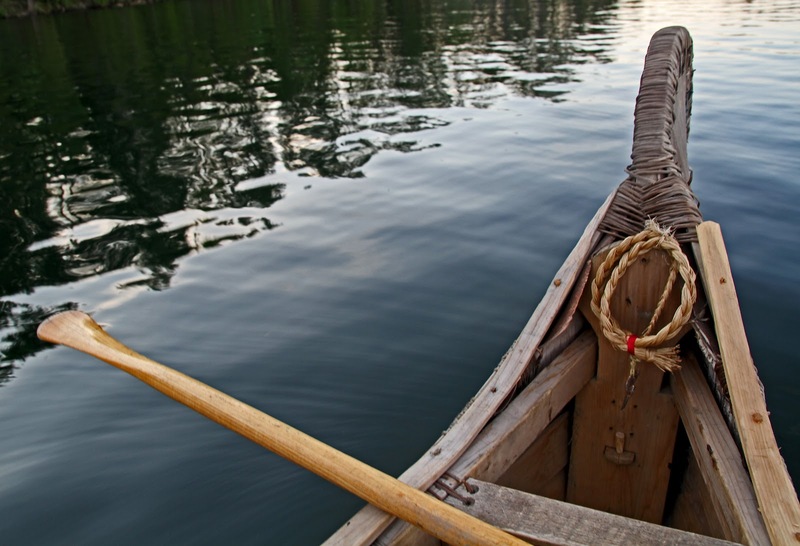 For everyone there it was their first time paddling in a Birch Bark Canoe! 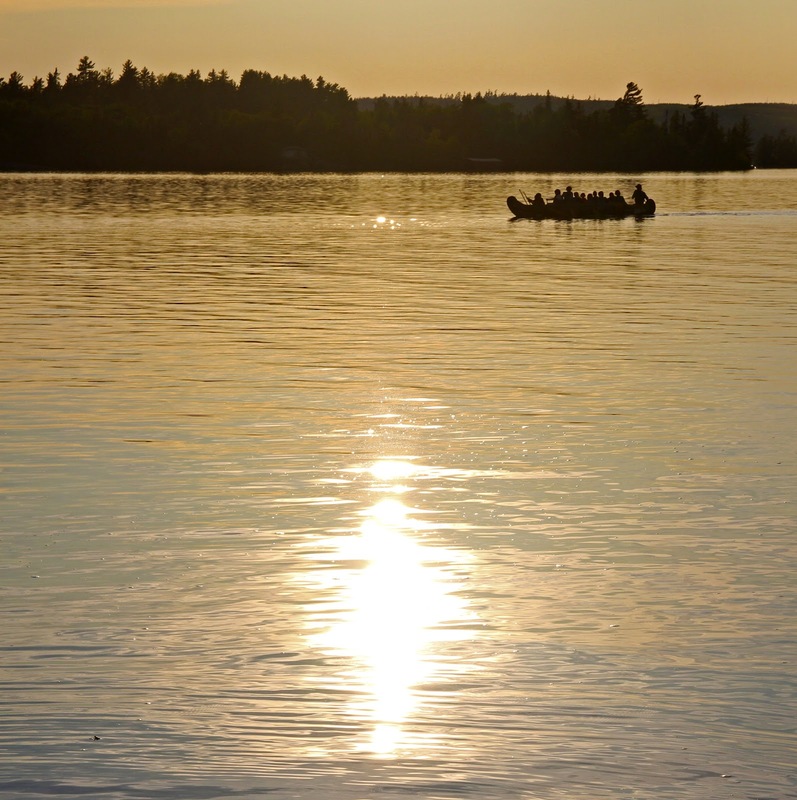 This was a beautiful evening and hopefully the first of many paddling opportunities for the people of bear island.